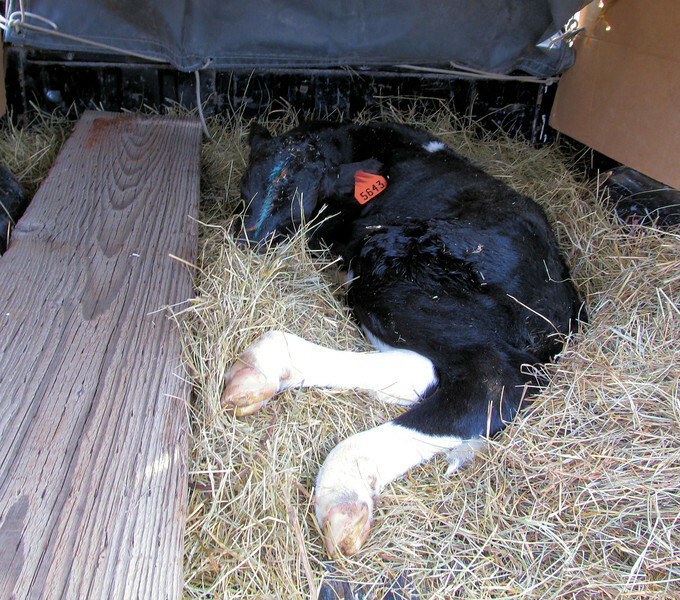 The Life and Times of a Calf Named Hamburger. The happenings with another calf on our farm. A young Holstein bull that won’t stay a bull. Descriptions are on the pictures. Hamburger Ready for the Trip on Home. The weather has been warm but is set to change to rain and snow with much colder temperatures for the next week. I wanted to get the over 4 hour trip home over with before the bad weather set in. They had already had a 2 or 3 hour trip just getting to Debs.